Mom Among Chaos received free tickets in exchange for this post. All opinions are my own. This blog contains ads. I can only imagine ticket giveaway. Have you ever heard of the band MercyMe? If you have, I'm sure you've listened to the breathtaking song I Can Only Imagine. Now, the story behind this song is hitting the theaters on 3/16/18. I'm totally excited to find out the story behind this fantastic band! I personally can't wait to see this film! Check out the trailer! 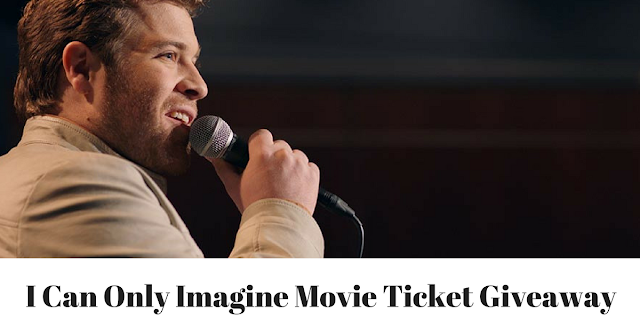 Enter to win two tickets codes from Fandango to see I Can Only Imagine. Please check here to see if the movie is showing in your area. The giveaway ends on 3/7/18.